Feed your group for less than $10 a person! Below are some of our most popular meal packages. 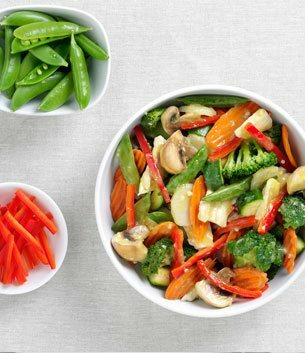 Each is complete with salad, appetizers, entrees and white or brown rice. Custom packages for larger groups are also available. Whether your event is a pickup, delivery or full service catering with staffing, call one of our Catering Specialists today. Prices subject to change without notice. 15% service charge on all deliveries. Prices do not include sales tax. Additional menu items available at special request. Some restrictions apply to delivery requests, including, but not limited to: Minimum purchase requirement, one business day advanced notice, maximum delivery radius. Delivery and/or service charges may be applied. Deposit may be required on larger catering orders. 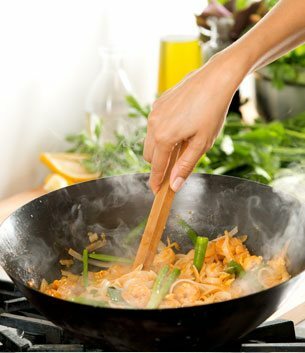 Asian Catering Services in Orange County, Los Angeles, San Diego, San Bernardino, Riverside, Ventura and ALL of Southern California! 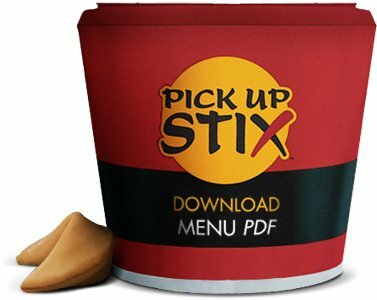 Pick Up Stix offers professional catering services at affordable prices. We serve all of Southern California including, Orange County, San Diego, Los Angeles, Riverside, San Bernardino and Ventura. Our extensive Asian Catering menu and foods are the finest in quality, abundant, delicious and wok'd fresh to order. 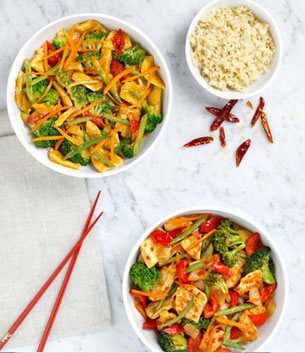 Pick Up Stix can provide you with all of your catering and event needs from corporate catering, luncheons, dinners, boxed lunches, weddings, holiday and special occasions. We have complete catering packages that include disposable plates, serve ware, napkins, chopsticks and fortune cookies! If your event requires the "full service" touch, we will be happy to discuss the details of your event and put together a comprehensive catering & event proposal customized just for you! Simply give us a call at 800-400-7849 x1 and one of our Catering Specialists will be happy to serve you.